A Unique Fashion Competition! 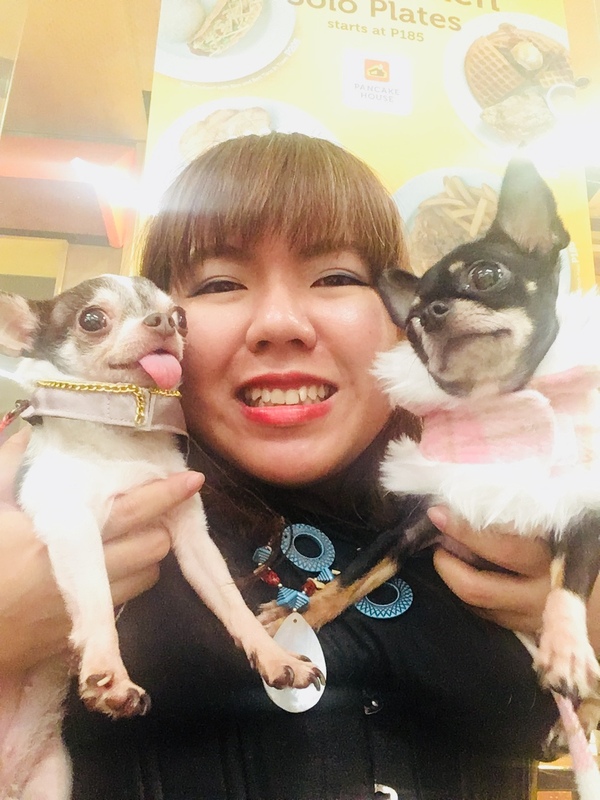 Open to all who wish to try their hand at pet fashion design! Embark your best pet design on the runway for fame and prizes! Pre-register by filling up the form together with a digital file of your pet (cat or dog) in your original design outfit. (File is 4X6 inches, 150 -300dpi, not more than 10mb) send to Babymoon.lifestyle@gmail.com. You will get a response with g-cash details if your application is approved. Pay 100.00 via G-cash or bank transfer and text back name, date and time of transaction. Name on g-cash must be the same as entry name. You may also register and pay at Alabang Town Center's Concierge. Please print out application form below. Registration period is from Sept. 1 to 30, 2012. Deadline for Pre-Registration is September 30, 2012. Early registrants get priority. Designers must create their own pet fashion ensemble. Clothes must not be bought in the stores or copied from existing designs. Clothes must be Pet Friendly (see guidelines for Pet Friendly Couture). Submissions will be reviewed and you will be informed if your design outfit is chosen to be among the finalists. 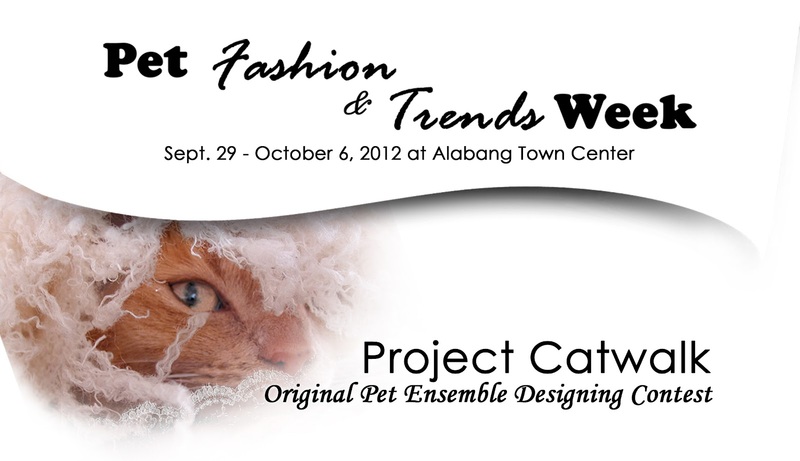 Pre-selected finalists will be invited to show-off their creations on the catwalk on October 6, 2012 at the Town Plaza, Alabang Town Center. Designer finalists must provide their own dog/cat models. If designer/pet fail to embark on the Catwalk on October 6, the entry is considered disqualified. If pet models refuse or are unable to walk the creation, pet friendliness will be deducted in their scores and/or entry may be disqualified. Winners will be awarded also on October 6, 2012 during the Pet Fashion and Trends Awards Night. Prizes: 1st place: 3,000.00 worth of shopping spree at Zalora. Large Gift packs from sponsors. 2nd Place: 2,000.00 worth of shopping spree at Zalora and Medium Gift pack from Sponsor. 3rd Prize: 1,000.00 worth of shopping spree at Zalora and Small gift pack from sponsors. Yes. It is very much appreciated. Can we pay during pet bazaar? Yes but if the entries are full, we cannot guarantee your entry. Can we use strollers and platforms? Not on the ramp. Dogs must walk. Cats are excused but must have freedom to move about if they can. I made the design but my friend will model for me. Is that allowed? Yes. You are judged by the creation of your pet's outfit. How can I use Zalora gift certificates? Go to Zalora.com.ph and shop to your heart's content. When you reach your limit, order it in your shopping cart. Delivery is free so you get the whole amount. How many entries can I send? We may approve as much as 3 from one person. Please e-mail us more questions or leave at the comment box. We will get back to your questions as soon as possible. Get your fomal wear on! We're starting on Sept. 29!